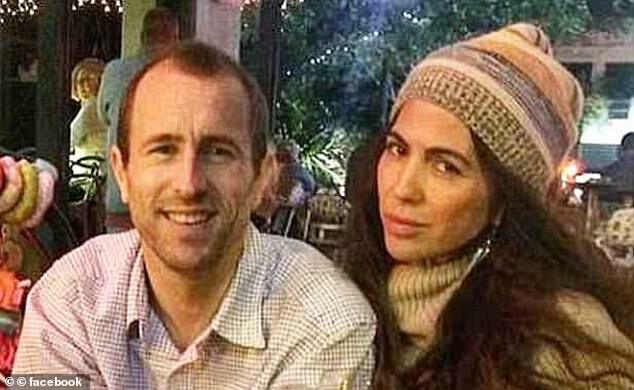 The FBI alleges he killed her to end their 'marital strife' and inherit her estate A woman allegedly murdered at sea on her honeymoon was scared of her husband and 'afraid to get home', text messages have revealed. Isabella Hellman went missing in a catamaran off the coast of Cuba in May last year while her husband Lewis Bennett, of Poole, Dorset, was rescued in a life raft. Bennett, a British-Australian sailor, was charged with murder in the United States where the FBI accuses him of sinking the 37-foot vessel in a bid to inherit his wife's estate. In texts sent to her husband Ms Hellman said she 'found an angry person' when she came home and told Bennett he did not 'respect her any more', The Times reports. Another, months before Ms Hellman's disappearance, said: 'If you don’t like me or love me anymore let us fix this asap because is very pathetic the way you treated me all the time.' 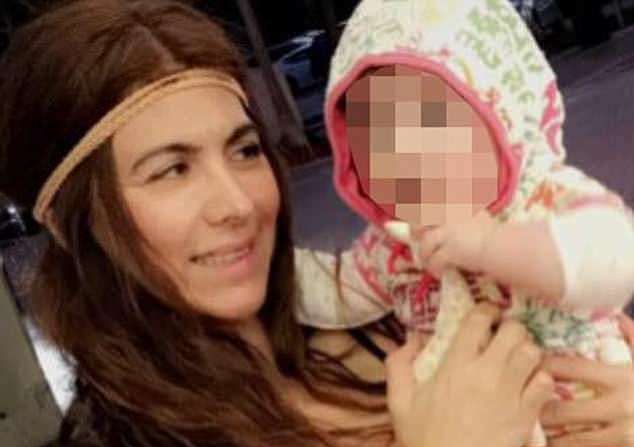 The messages reportedly reveal that Colombian-born Ms Hellman noticed a change in her husband's behaviour after the birth of their child, Emelia, in 2016. Bennett is said to have thought the baby had come at the 'wrong time' and was 'super angry' about the spelling of the child's name. Prosecutors claim the couple's 'marital strife' was a motive for the alleged murder. 'Hellman’s murder would remove the marital strife from the defendant’s life, allow the defendant to live his life as he pleased, and would enable him to inherit money from Hellman’s estate,' a prosecutor said. 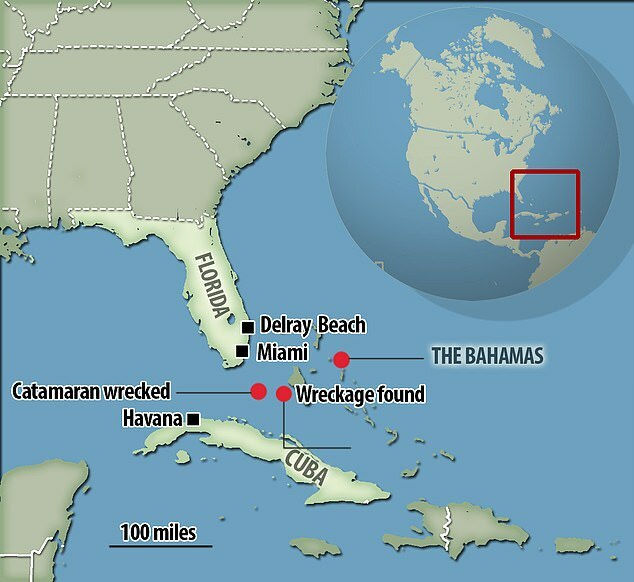 Bennett would allegedly vanish from the family hope in Delray Beach, Florida, without warning and is said to have had a 'controlling nature'. If Ms Hellman is presumed dead – as her body has never been found – he would inherit her condo and the contents of her bank account. 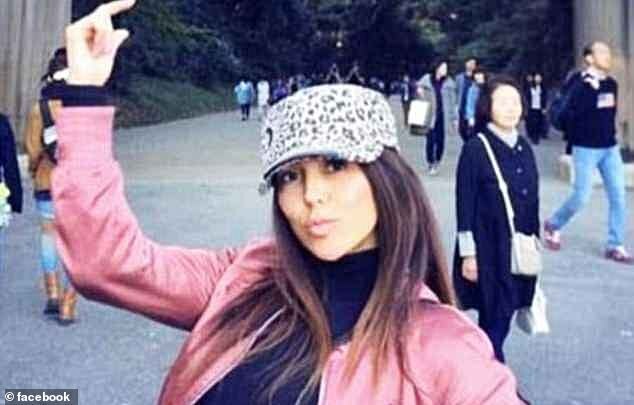 Prosecutors also allege she may have discovered he was in possession of gold and silver coins stolen from his former employer in St Maarten, which could have made her an accomplice in the smuggling crime. Earlier video footage was released of Bennett having a heated row with his partner's family who were heard shouting: 'You killed my sister'. In the video Bennett attempts to retrieve his laptop and other items from the family's house, with Emelia in the car, when he is confronted by Ms Hellman's relatives. Bennett was smuggling rare stolen coins worth $38,480 (£29,450) when he was rescued off the coast of Cuba and is serving a seven-month jail term after he admitted transporting them. He made an SOS call in the early hours of May 15, 2017, saying the boat Surf Into Summer was sinking and his 41-year-old wife was missing. 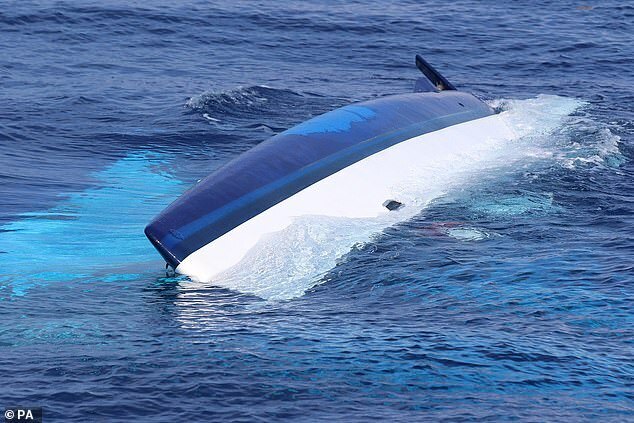 Bennett claimed the catamaran struck an unknown object and when he came up from the cabin he did not see Hellman and the vessel was taking on water, prosecutors said. He was airlifted alone from a life raft and said he had been awoken by a thud having left his wife in charge of the boat the night before. The search for Ms Hellman was called off three days later. Their daughter Emelia is believed to be living with his parents in England. Bennett is due to face trial for second-degree murder in December.